Hama is a composer and keyboardist based in Niamey, Niger making something we haven't really much of: electronic desert folk songs. 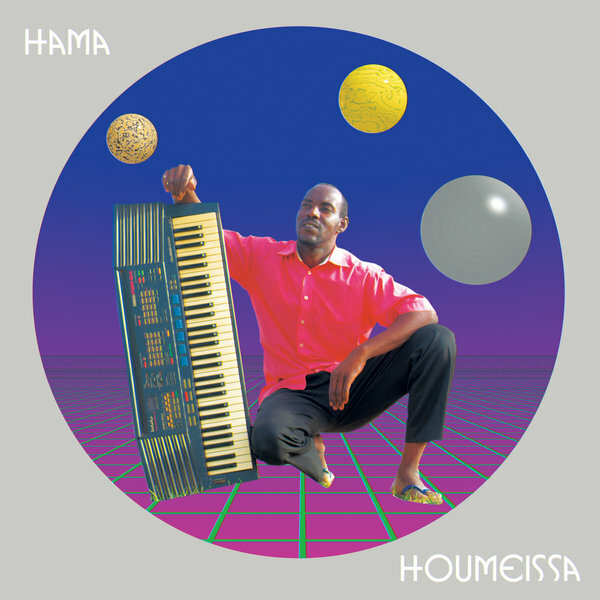 Hama, also known as Hama Techno (real name Mouhamadou Moussa), spends his days working as a private driver in Niamey and came to doing music almost as an accident when a neighbor gifted him a synthesizer. It was that gift that led him to start reinterpreting popular desert folk songs through an electronic lens. Hama's songs play like an entrancing blend of Tuareg guitars and melodies with early 90s techno, synth wave, sci-fi soundtracks and much more. According to Sahel Sounds, he "quickly became an underground star on the underground mp3 networks [of Niger], unattributed compositions traded by Bluetooth on Saharan cellphones." "Terroir," a new single and music video that we're premiering here today, is an interpretation of a traditional Tuareg folk song. Hama mentions, "When I was young, I used to visit my aunt who lived in the village Torodi. All of the children in the village listened to this on cassette. It was played on a tehardine [traditional guitar]—I adapted it to the piano, and now I've remixed it." Watch the "Terroir" visual created by Jason Traeger below. Houmeissa is out January 18 via Sahel Sounds.